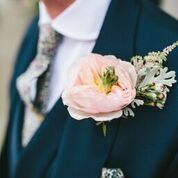 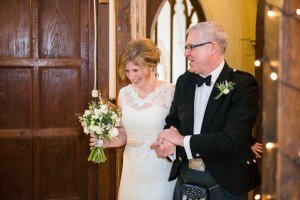 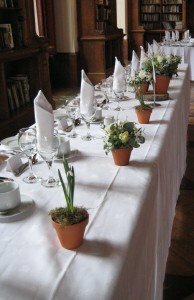 It does feel a bit strange posting a blog about a winter wedding when we are all looking forward to spring but I did not want to wait nearly a year to write about this wedding just because it is out of season. 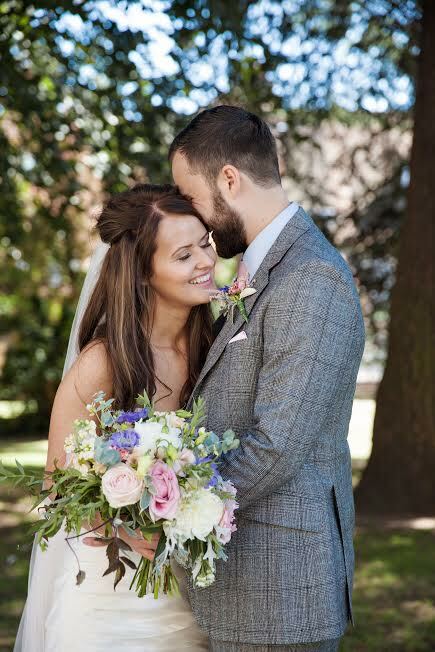 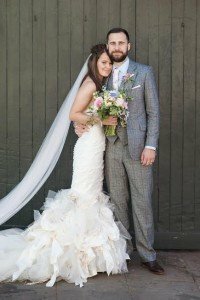 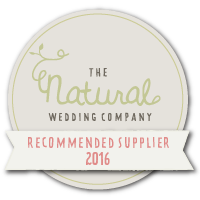 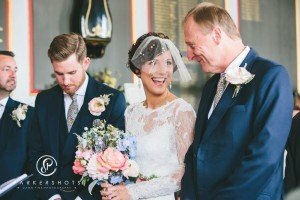 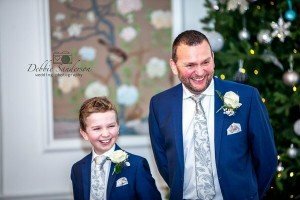 Gemma and Glen picked the wonderful The George in Rye Hotel for their December wedding and chose local suppliers to complete the day. 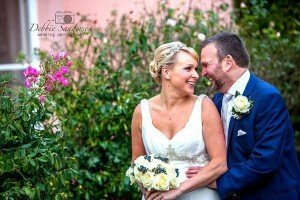 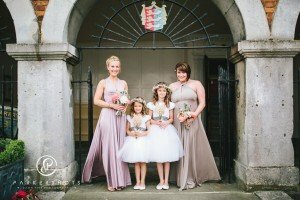 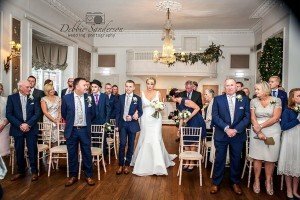 Lauren-Louise Professional Hair and Makeup added the glamour and Debbie Sanderson Wedding Photography captured the day perfectly. 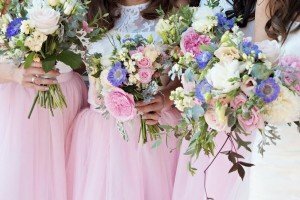 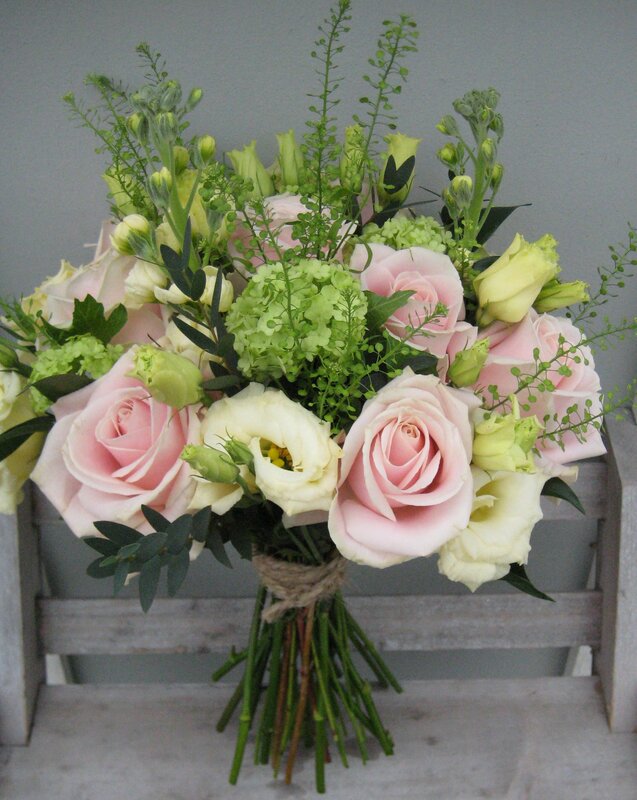 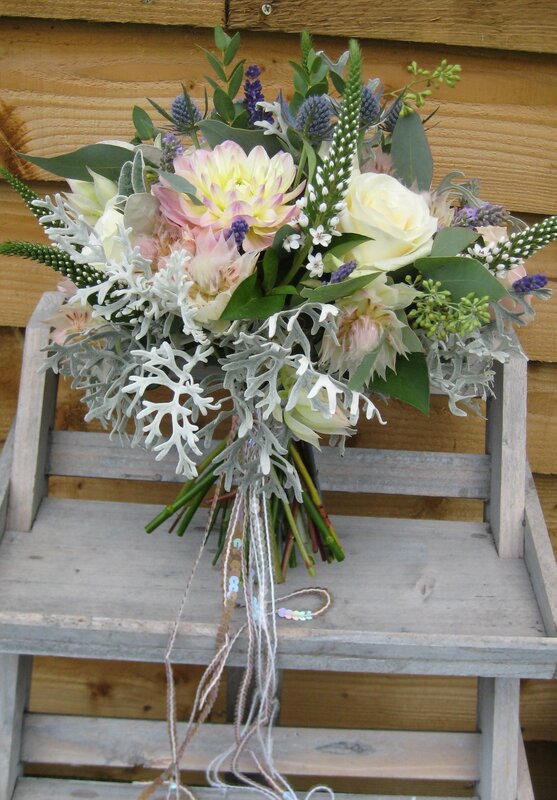 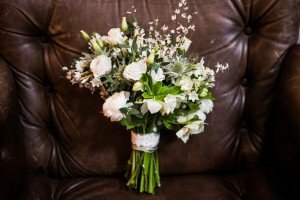 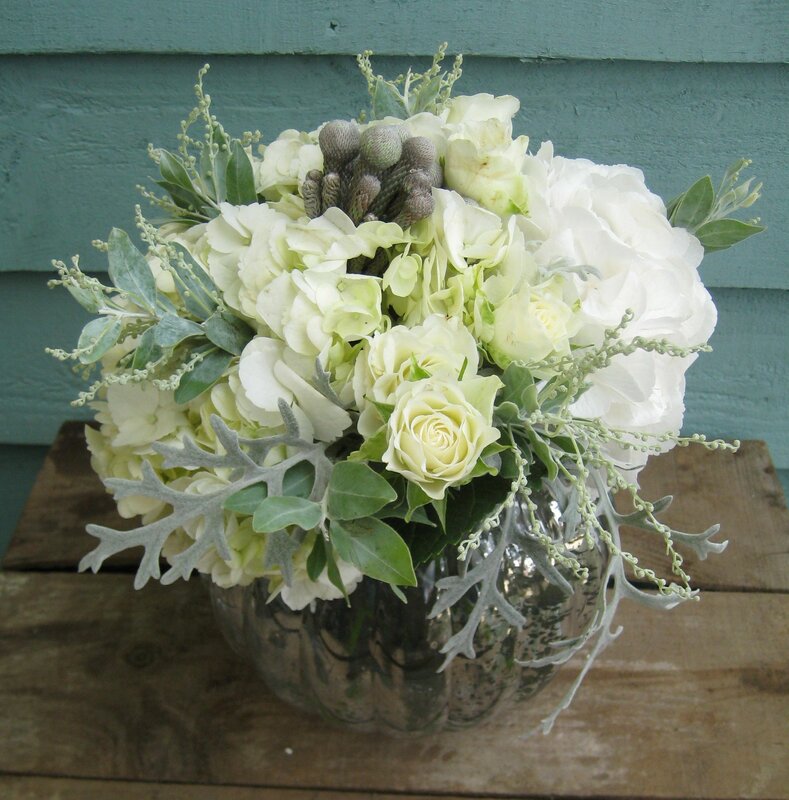 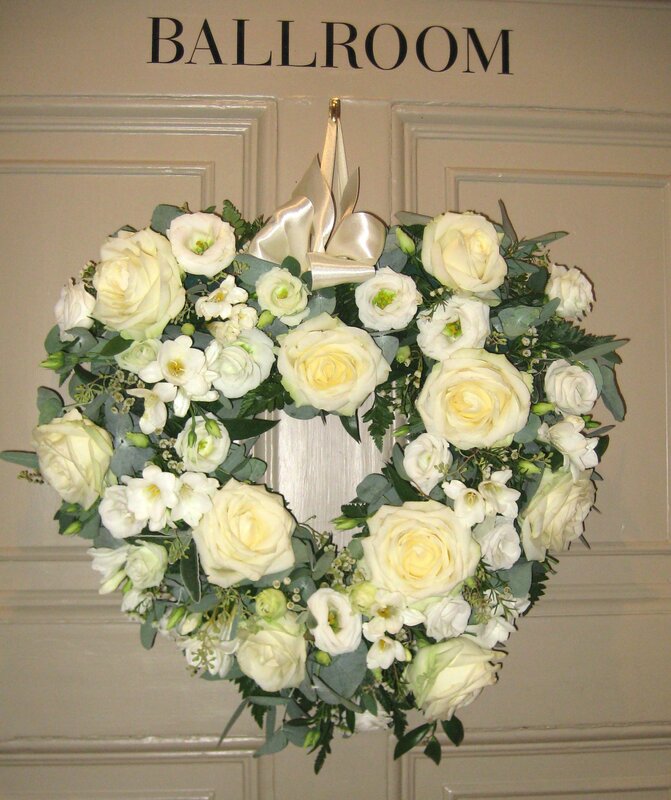 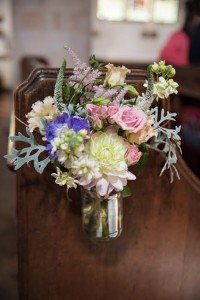 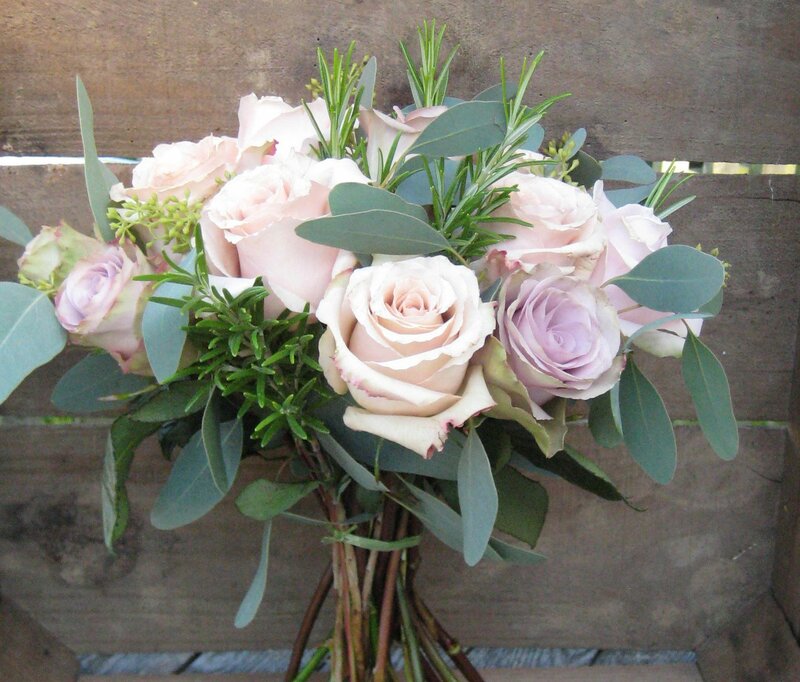 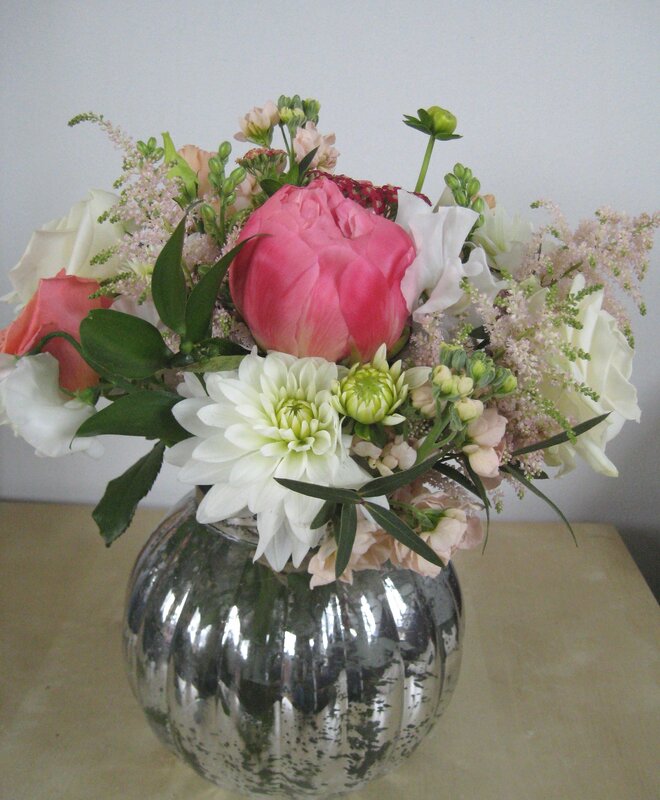 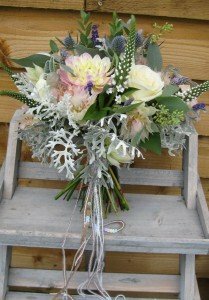 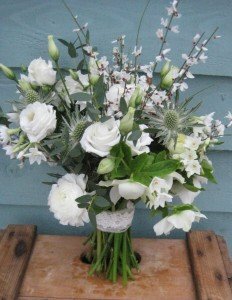 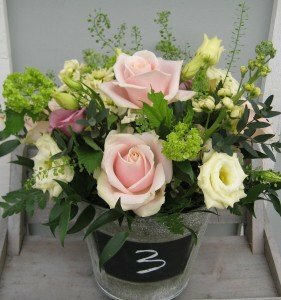 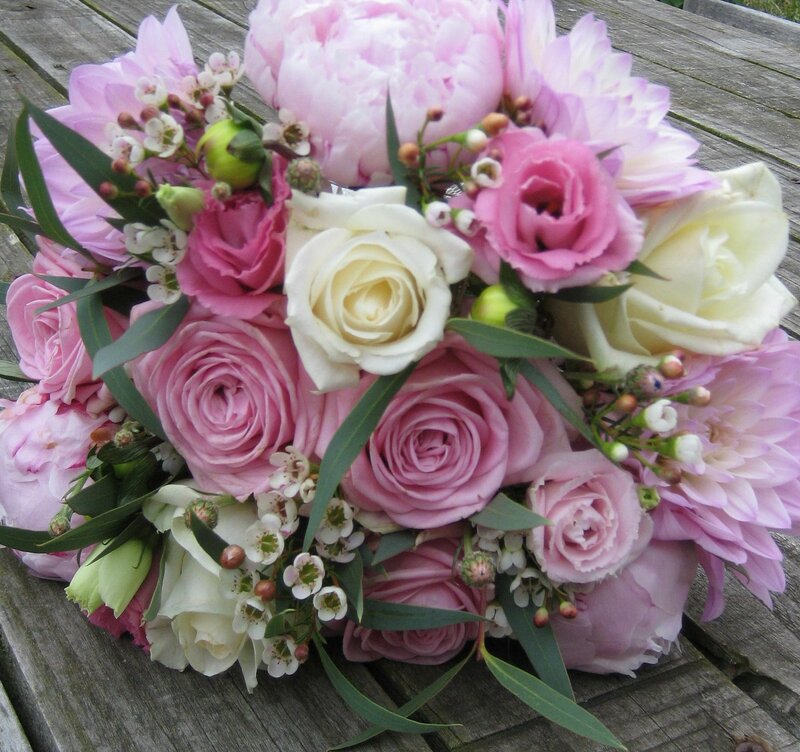 We provided the flowers which with weddings falling between Christmas and New Year can sometimes be a bit tricky as the flower markets are affected by the holiday season like anyone else. 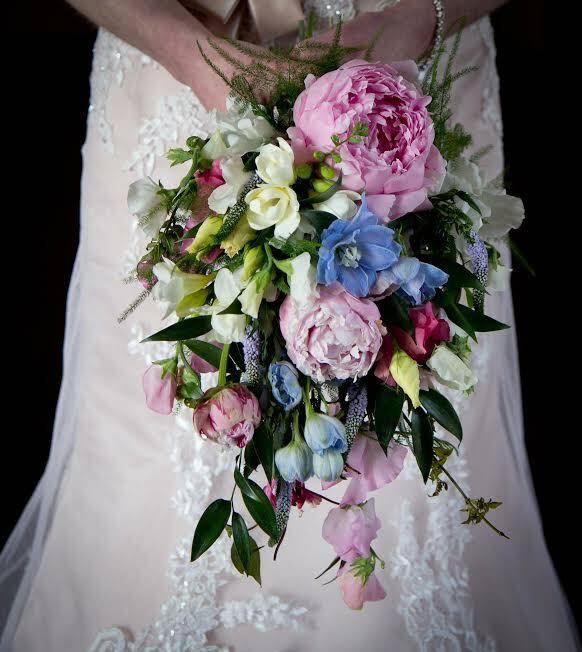 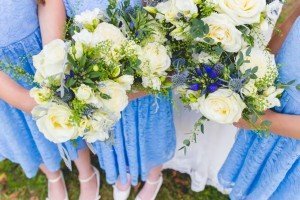 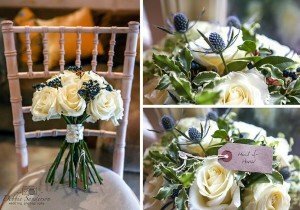 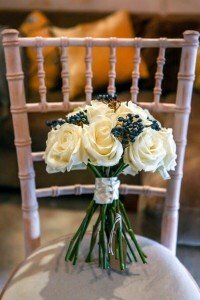 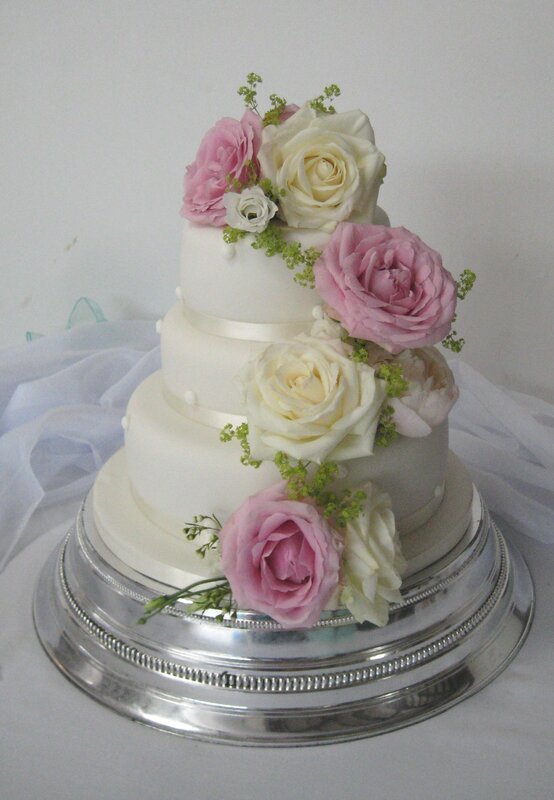 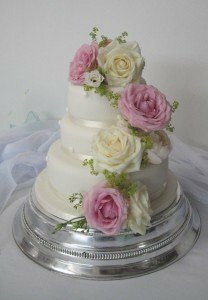 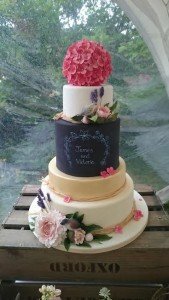 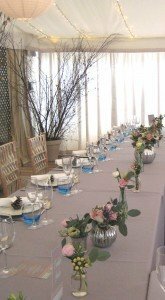 However Gemma knew what she wanted from the start and had chosen classic ivory roses with a touch of blue and we decided on thistle and the metallic blue/black vibernum berry. Being Christmas the venue was dressed for the occasion and we added an extra touch with jam jars on the aisle chairs. 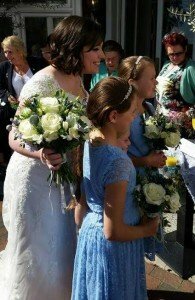 Gemma and Glen were a lovely couple who clearly enjoyed their day and included their children every step of the way. 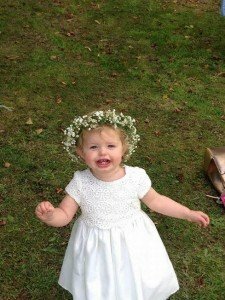 Gemma’s daughter was one of the flower girls and her son gave her away. 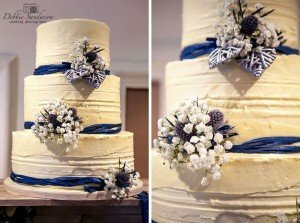 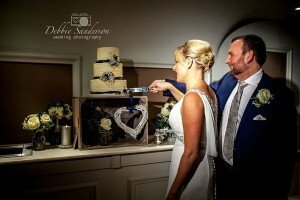 Right through to the cutting of the cake by Claudia of Purple Flour a simple but effective cake incorporating all the elements of the wedding, blue and white for the flowers with grey hearts and sat on a wooden crate for a more natural feel. 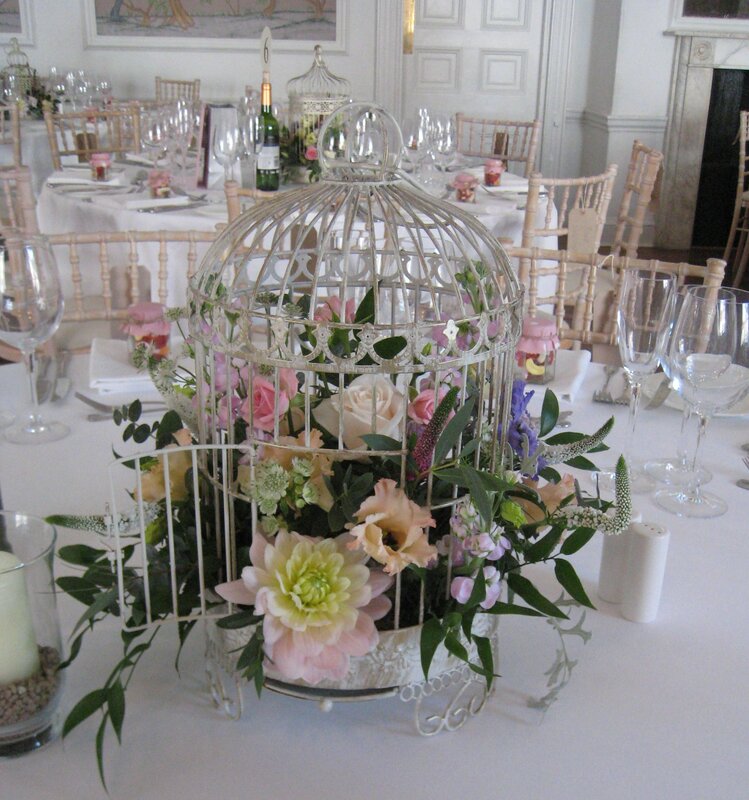 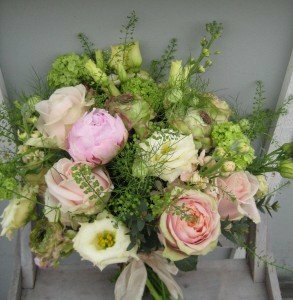 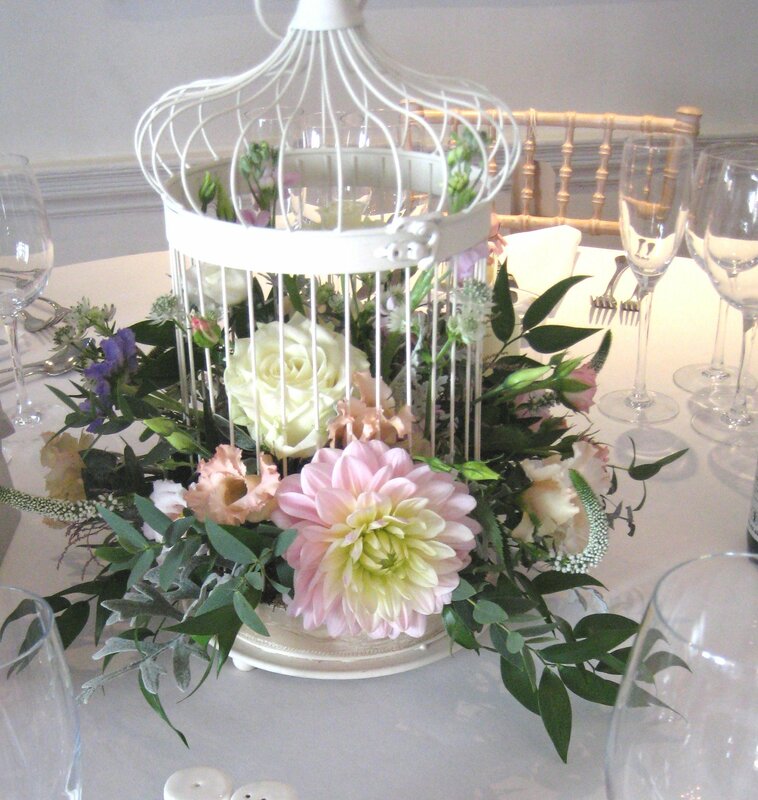 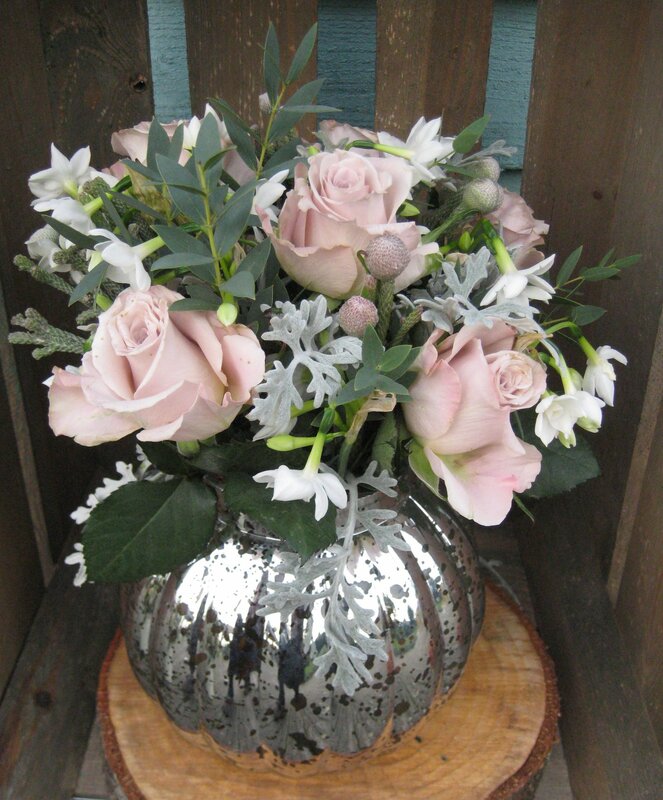 The bridal bouquets around it and bottle in the crate gave it extra flower power! 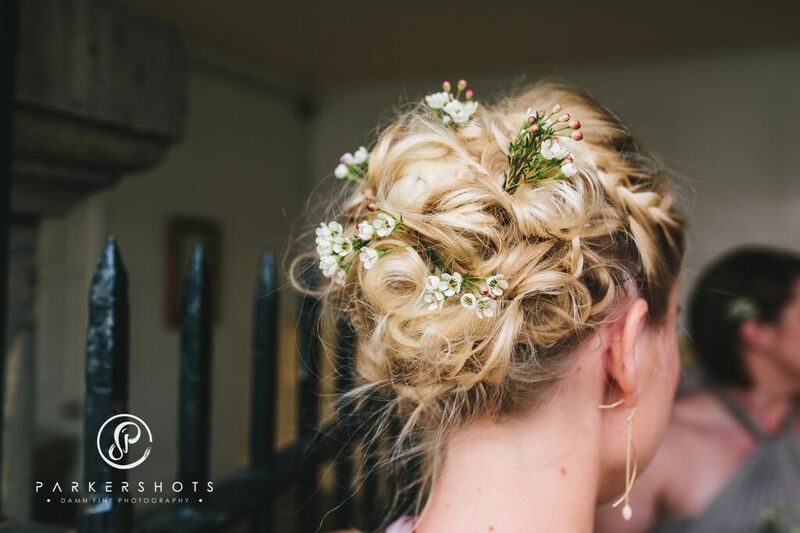 And what a lovely shots to end the day! 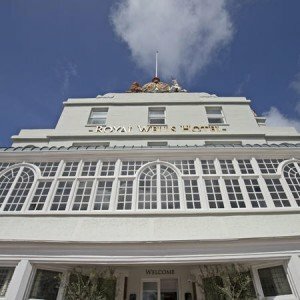 The Royal Wells Hotel had an extensive refurbishment at the beginning of last year opening for business again in May. 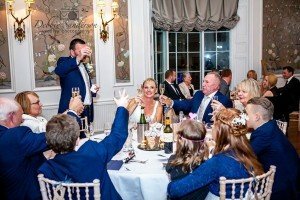 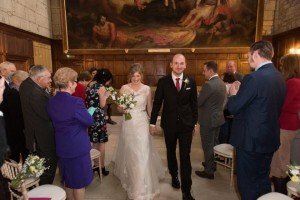 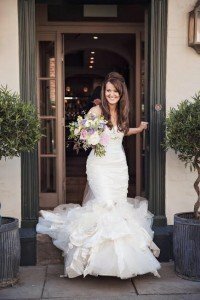 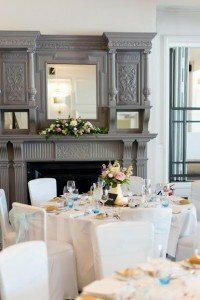 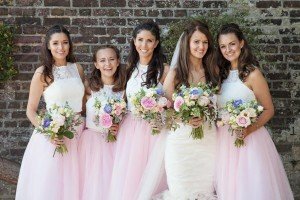 It incorporated the latest facilities and contemporary style, while retaining its Victorian elegance and period features and proves to be a popular wedding venue. 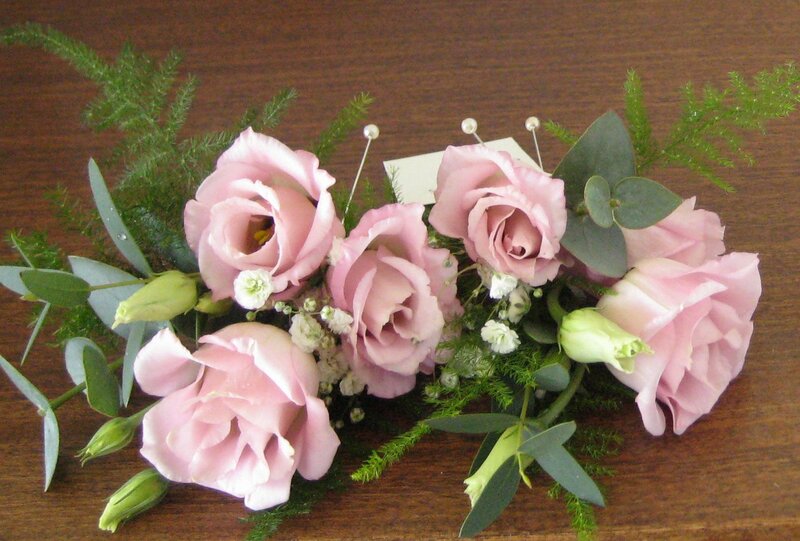 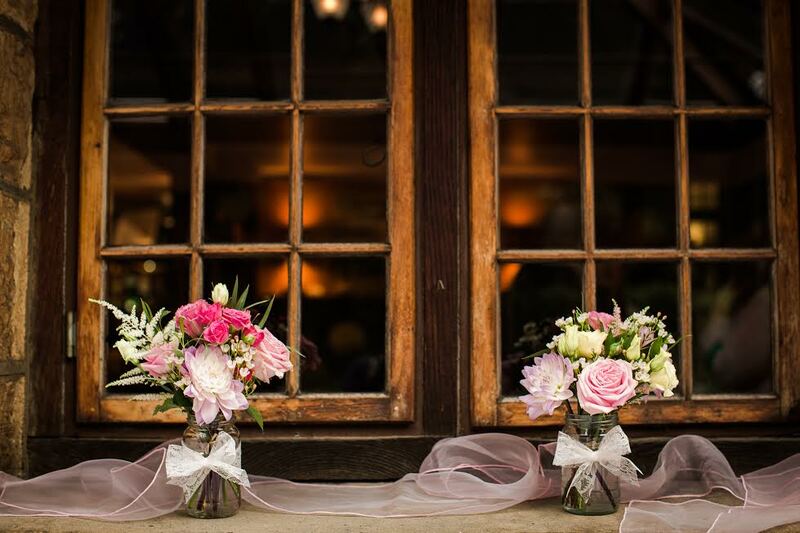 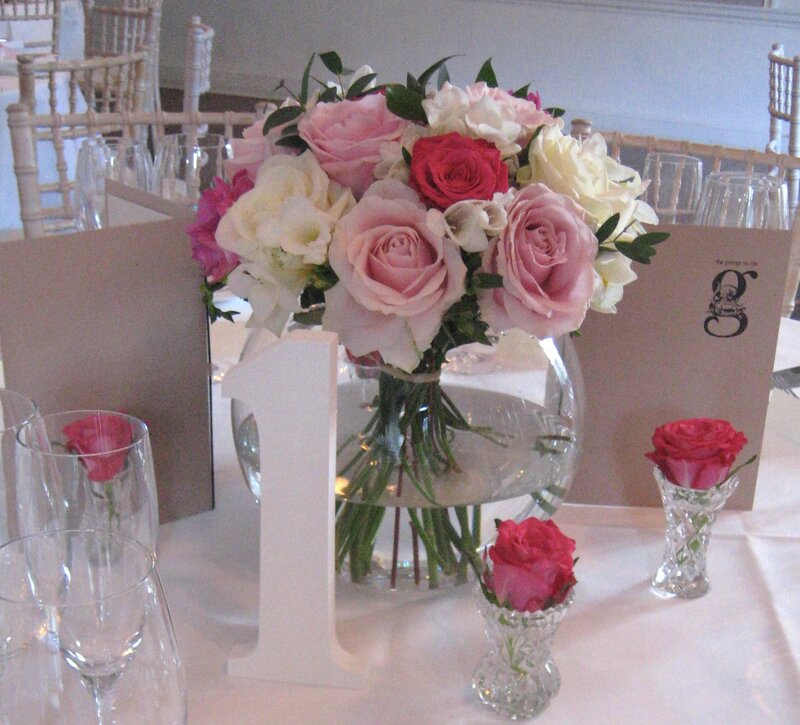 We had the pleasure of providing flowers for quite a few couples last year and here is a snapshot. 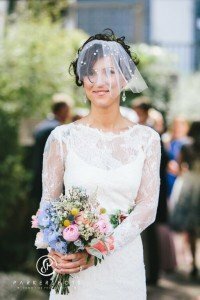 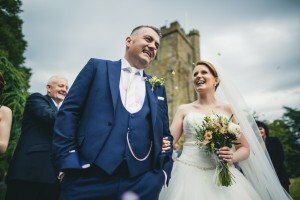 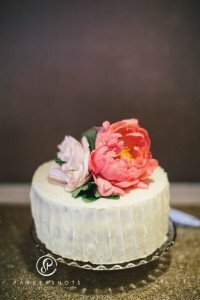 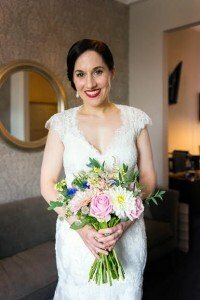 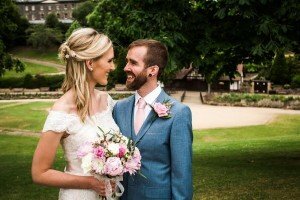 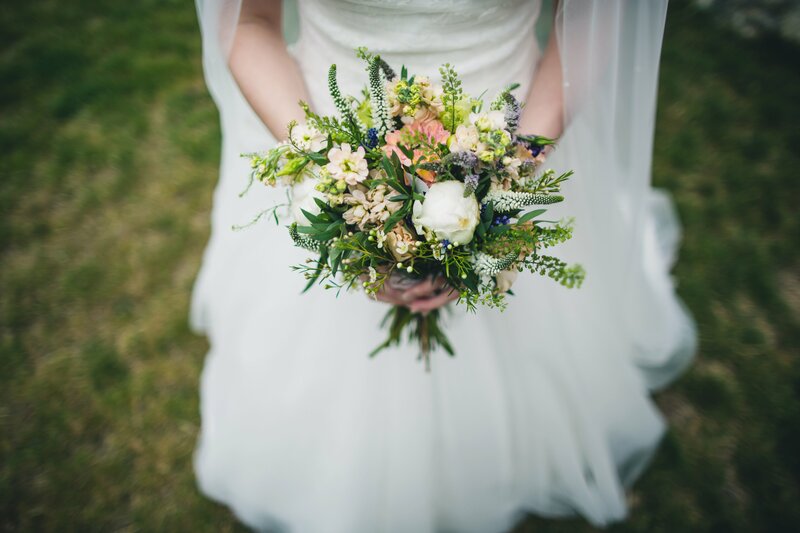 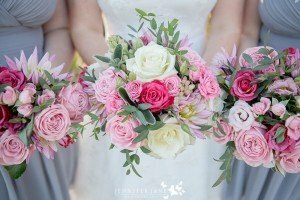 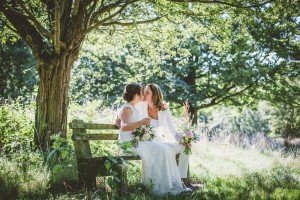 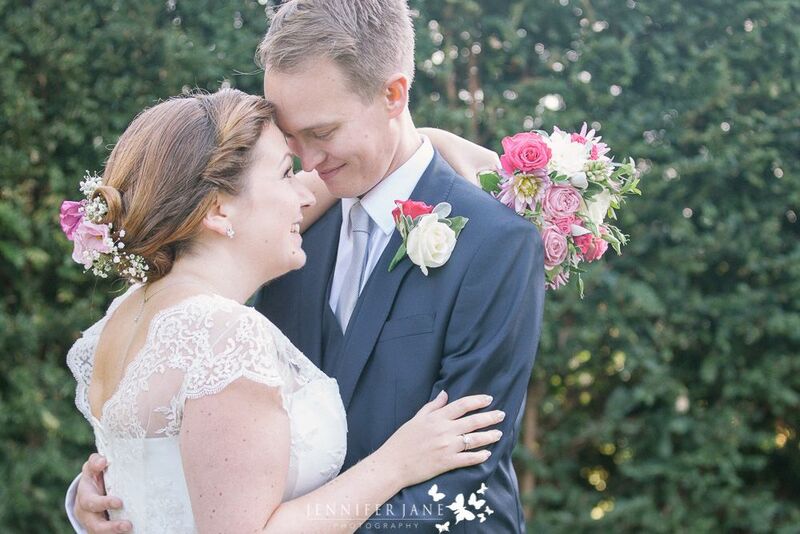 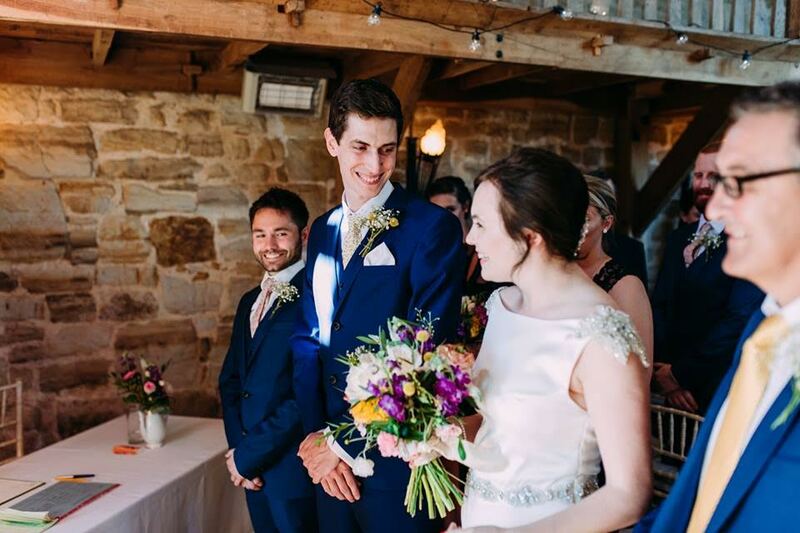 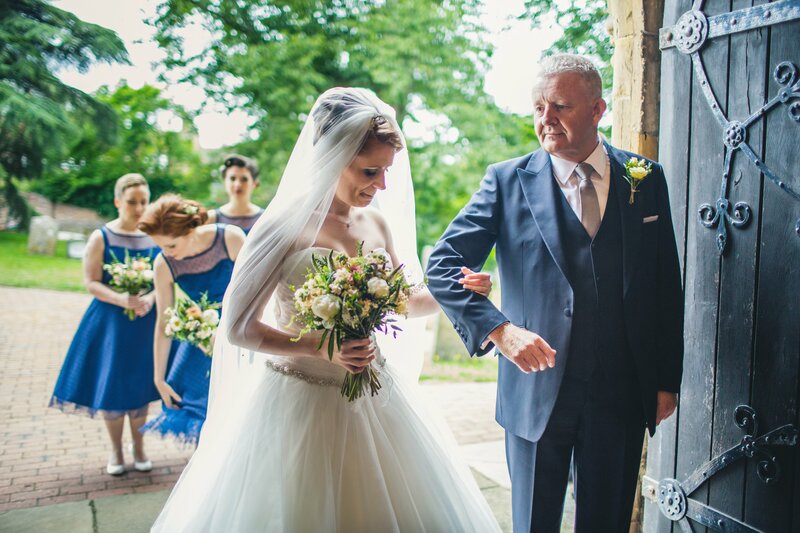 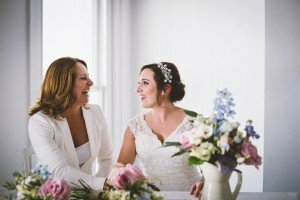 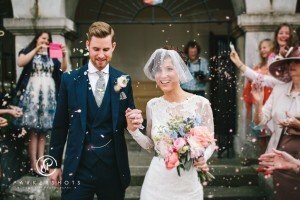 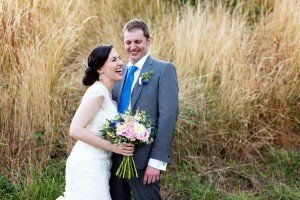 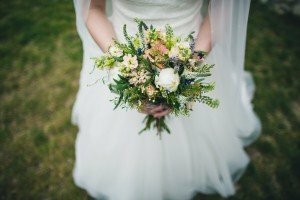 August was a busy month kicked off by Katie and Neil’s wedding beautifully photographed by Sarah Williamson Photography. 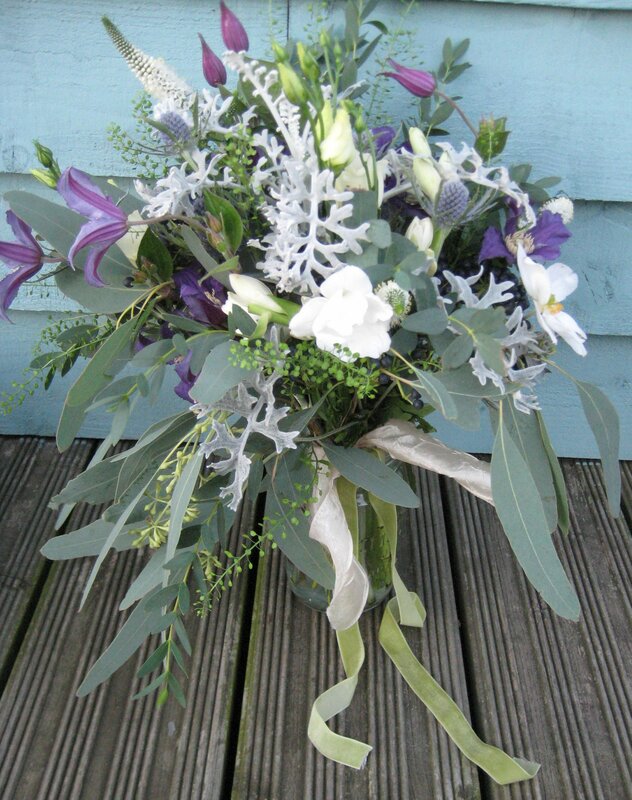 They wanted mixed summer flowers to include cornflowers which the groom wore proudly! 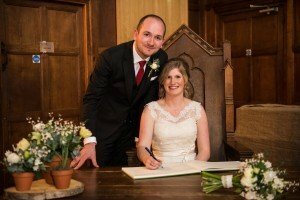 Signing on the dotted line! 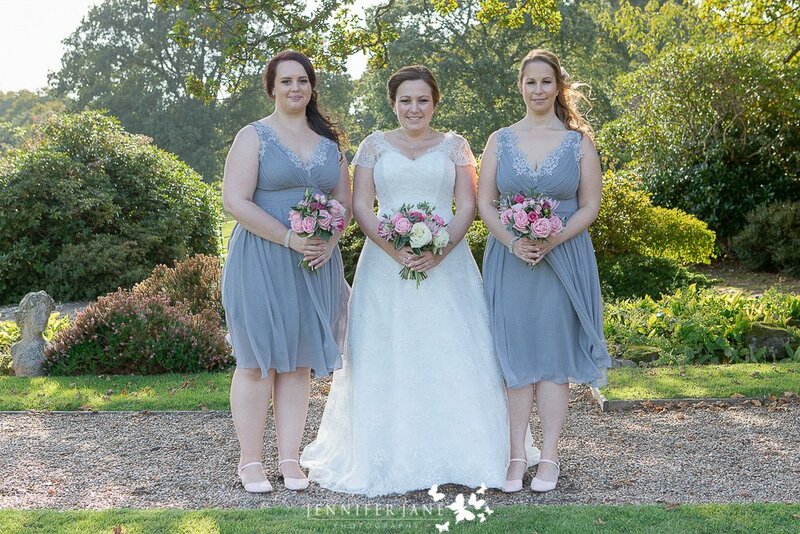 Thanks to Denise at One Love Pictures for the lovely images. 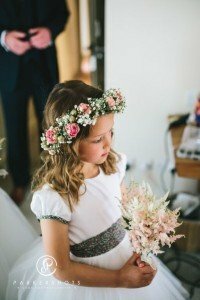 And we can’t forget this little one! 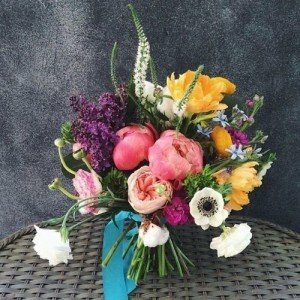 What a nice way to finish a post. 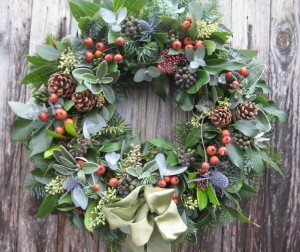 As we are nearing Christmas I thought a seasonal post might be good including our trip to Germany, wreath making and weddings. 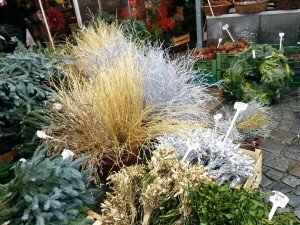 It has been unseasonably warn so it was nice to spend along weekend in Germany where it snowed and the Christmas markets were in full swing. 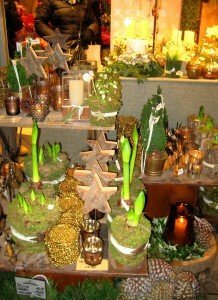 They not only have the traditional gifts and gluhwein but loads of pine wreaths, foliages and sparkle. 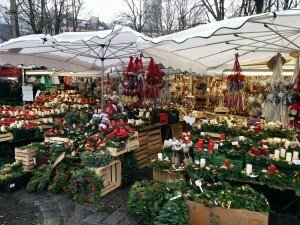 Below are a couple of shots of Munich Christmas Market. 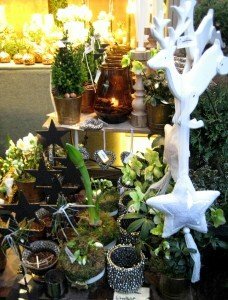 And as the light began to fade a florist shop lit numerous candles and tea lights, my photo’s do not do it justice, it just looked magical. 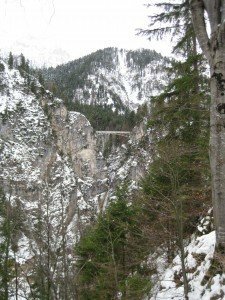 We also visited Fussen where there is a fairy tale castle and lovely scenery. 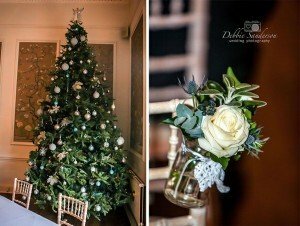 And I can’t forget to mention the wonderful Christmas Tram, decked out with baubles and fairy lights! 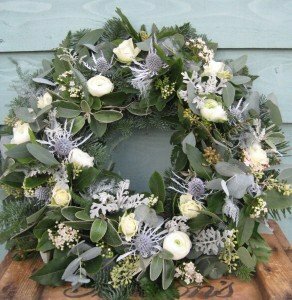 Wreaths are always a feature in December and we did a workshop for a group of ladies who have been regulars for the last 4 years and I actually had time to do one for myself this year! 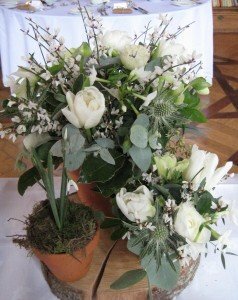 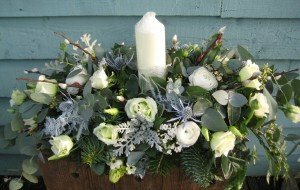 I went quite traditional using foliages from the garden but did a ‘winter whites’ one for a customer with matching table arrangement. 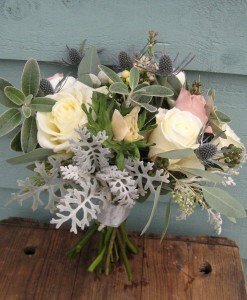 I always like this combination of grey foliages and whites. 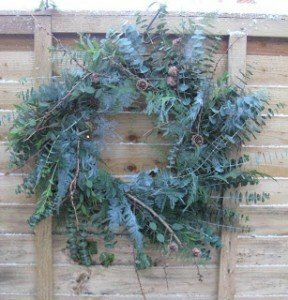 I also really like this eucalyptus one I did a couple of years ago, you can’t go wrong using just foliages. 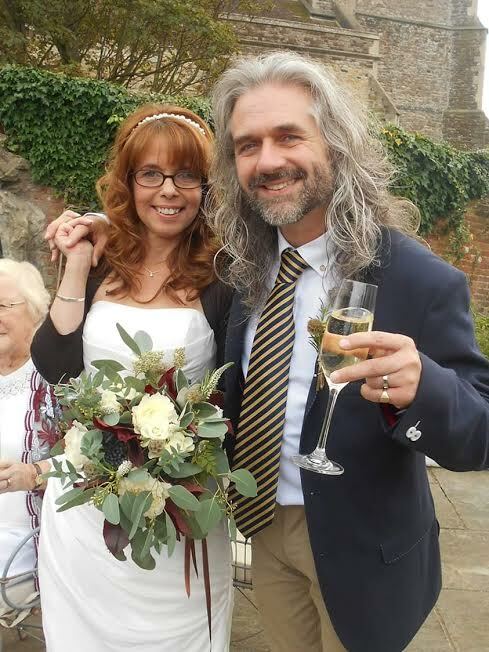 And now to the weddings, only my photo’s at the moment. 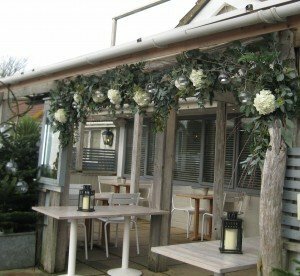 The first one was at The Gallivant which is a great venue if you want somewhere a bit different as it is opposite the sand dunes at Camber Sands. 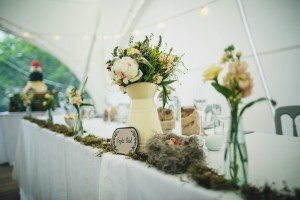 The brief for colours was ‘whites, sea foam, mint, soft grey and blush tones to compliment the beachy location’ The general feel was to be romantic with candles and tea lights adding to the atmosphere. 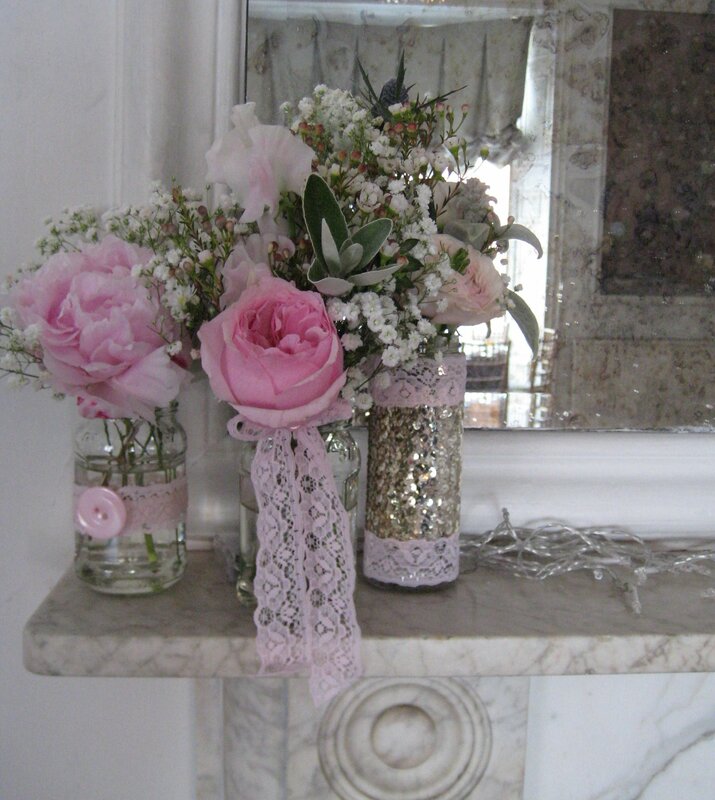 The styling was done by Alexandra Merri of The Bijou Bride. 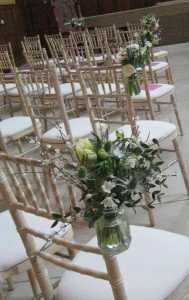 We created a mainly foliage arch with hanging tea lights at the entrance and storm lanterns lined the aisle with pretty jam jars on the chairs. 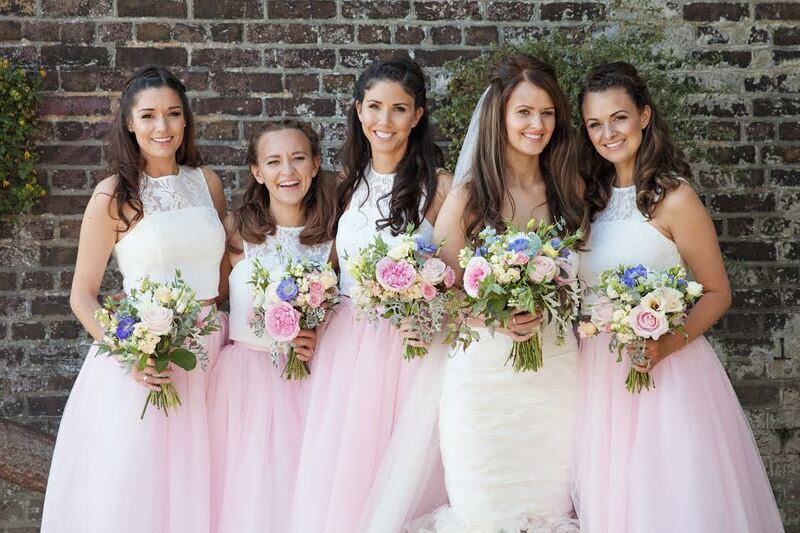 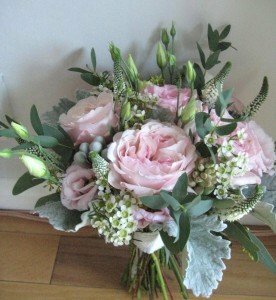 The brides bouquet and reception flowers had more colour in and complimented the pompoms nicely. 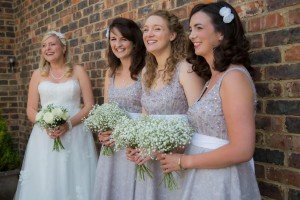 We were then at Blackstock Barn for Amy and Mitches wedding who had similar seasonal colours of grey, a touch of blush and festive foliages. 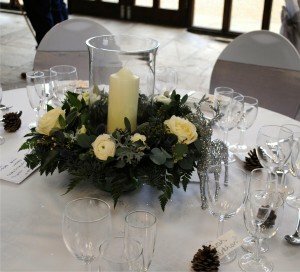 Their table centres were storm lanterns in wreaths with a touch of sparkle from the silver reindeer and pine cone place names. 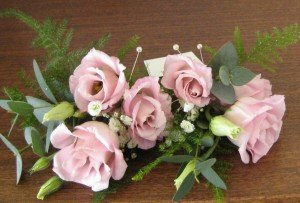 We have one wedding after Christmas which I will share in the New Year. 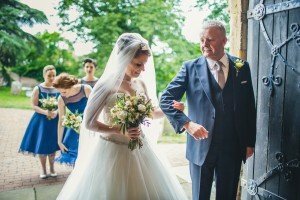 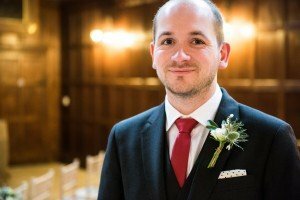 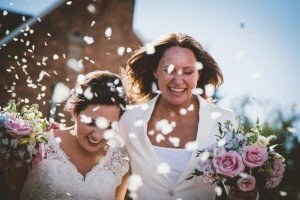 Now the wedding season has slowed down I have time to reflect back over the year and share some of the weddings we had the privilage to be involved with. 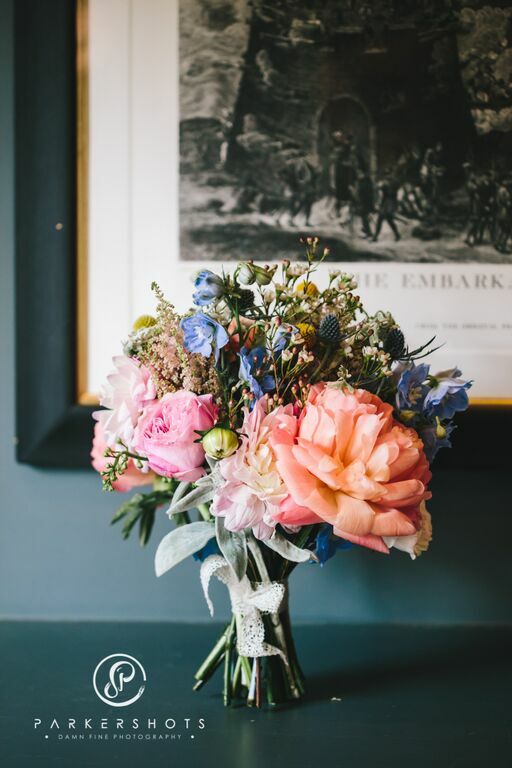 At the beginning of the season I pondered over what would be ‘in’ this year – muted pastels, blues for colour and style wise – natural, informal designs? 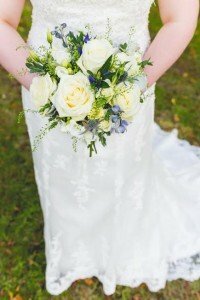 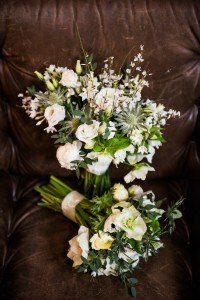 What really came through was the larger less ‘compact’ bouquets with trailing ribbons and the odd sequin! 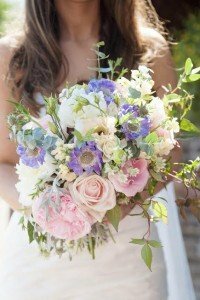 But also quite a mix of colours with gypsophila and hydrangeas remaining popular. 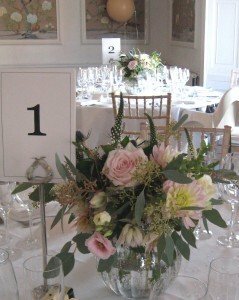 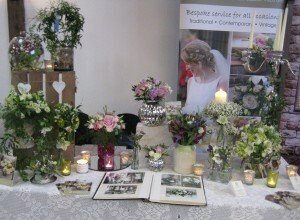 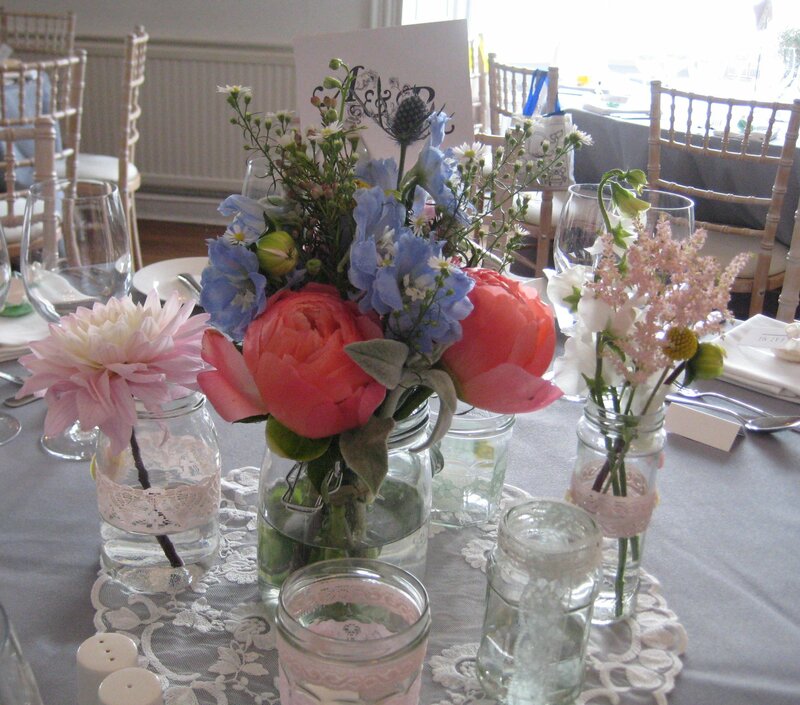 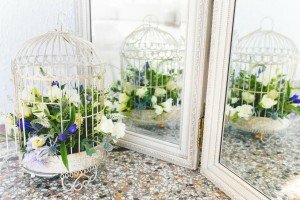 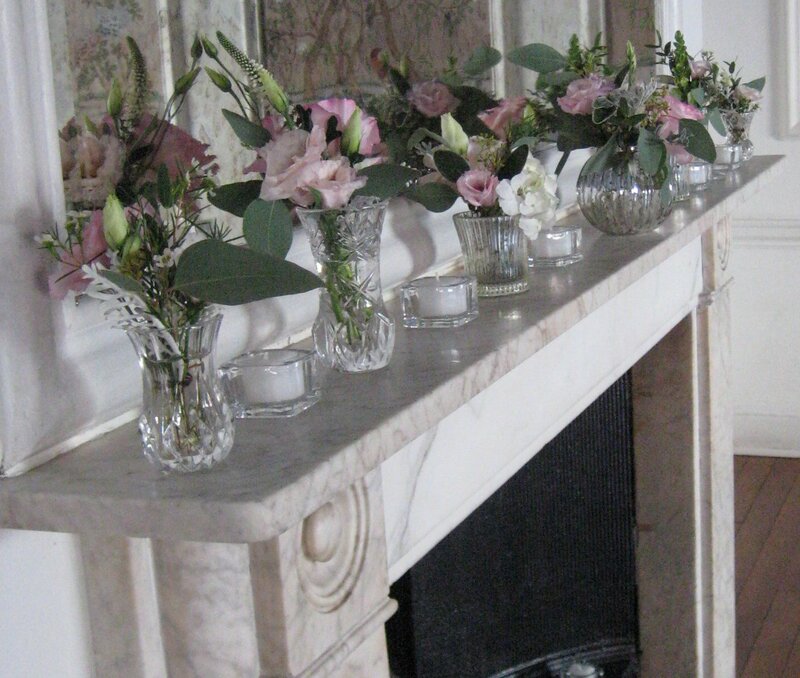 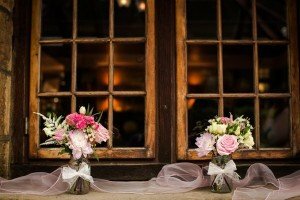 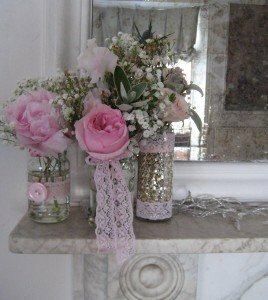 A key feature was ‘the personal touch’ with brides doing their own styling with favours, place names and venue decoration. 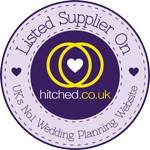 Take a browse and see for yourselves. I have to thank all the great photographers who have sent me images and who are credited along side their shots. 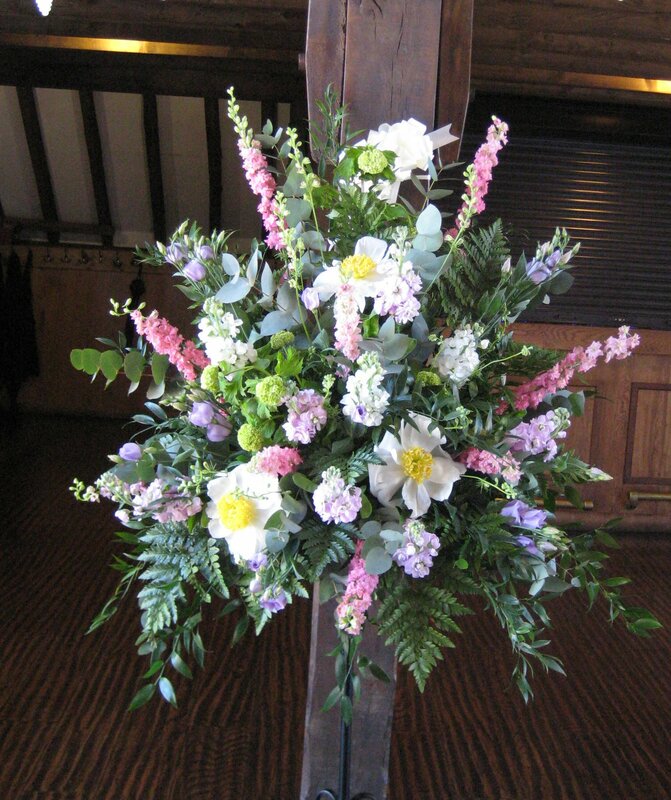 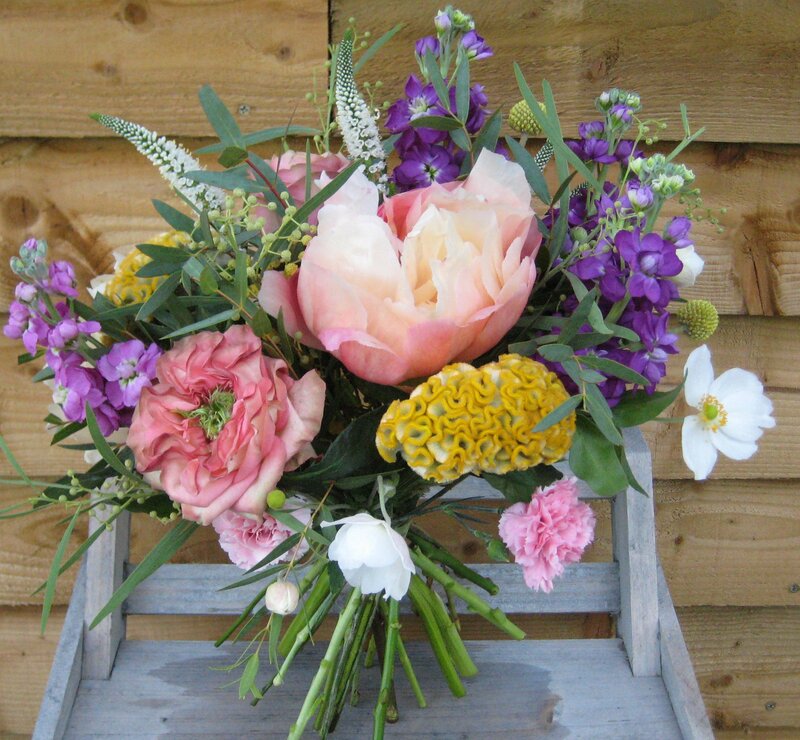 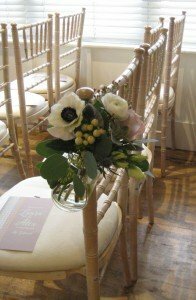 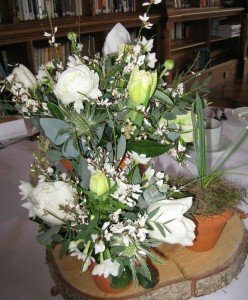 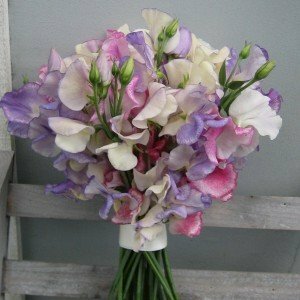 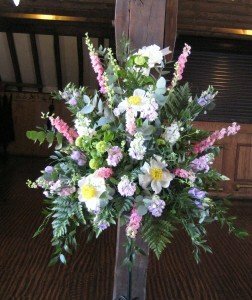 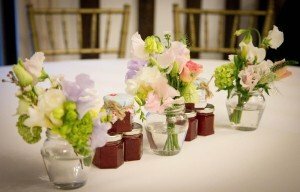 So here we have Christine’s simple but beautiful mixed sweet pea bouquet for a May wedding along side a ‘country’ pedestal – the scent was was divine. 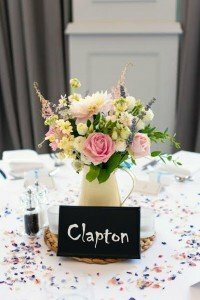 Staying with the populas pastels we saw the wedding of Sarah and James at Blackstock Barn who had a lovely afternoon tea theme with bunting, crockery, jam jars and beautiful photogaraphs by Libby Reed. More mixed pastels for Victoria and James in July at the wonderful Old Rectory in Hastings. They had some great props with birds and nests, chalk board signage and ladder table plan courtesy of Jenny at Bellaboo and Beau – Creative Wedding Styling and Design, cake by Sylvia at The Art of Cake. 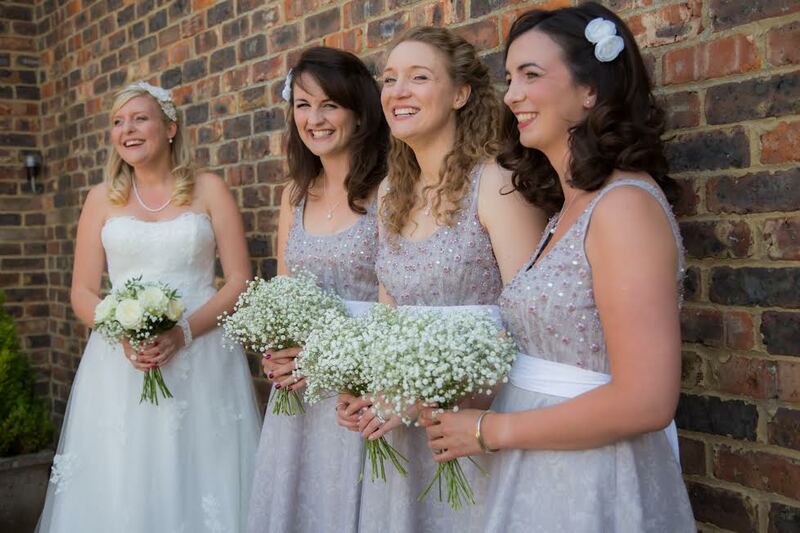 And thanks to Hannah at Lifeline Photography. 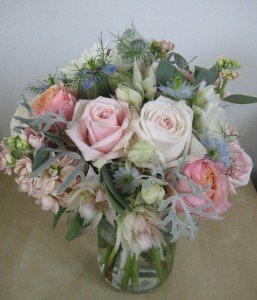 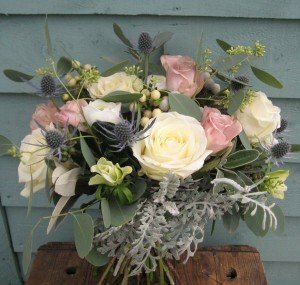 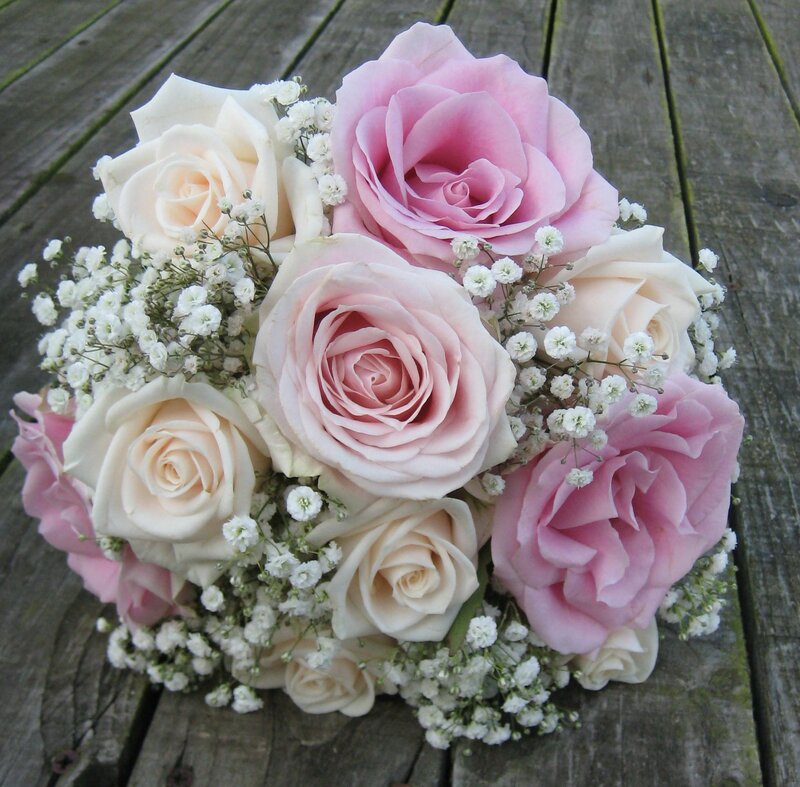 There have been many more but I will finish this post with Brogan’s pastel blue, peach and grey bouquet. 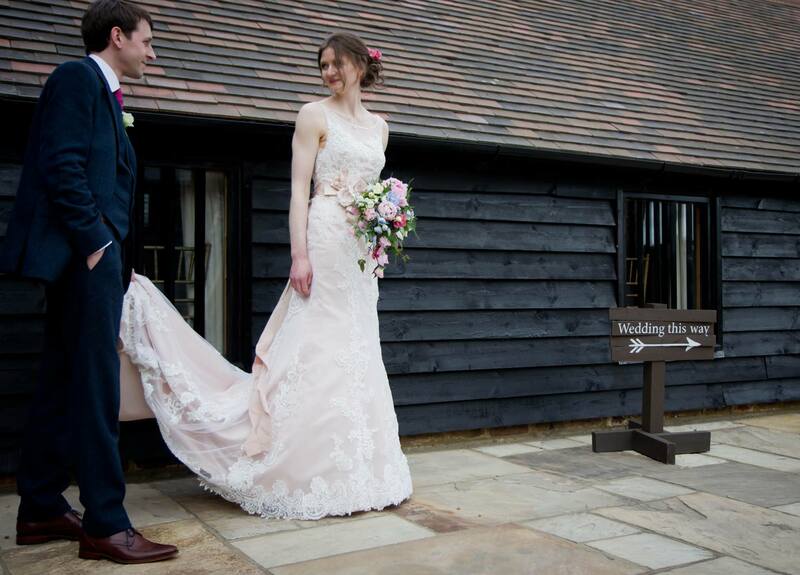 I will be back shortly with many more images from our lovely weddings this year.